Mystic, Connecticut, is a destination full of surprising and fascinating attractions! You won’t know what to do first when you visit this one-of-a-kind city. However, one spot you can’t miss is the Mystic River Bascule Bridge. Learn what you need to know about this iconic landmark and make plans to see it today! What Makes the Mystic River Bascule Bridge So Special? The Mystic River Bascule Bridge is considered one of Mystic’s prime attractions. For those who have never visited this area, this might seem confusing. After all, what could make a bridge so special? However, the Mystic River Bascule Bridge has features and characteristics that make it truly extraordinary! This bridge is unique because all its mechanical parts are exposed, so it’s truly fascinating to watch in action. People strolling around downtown frequently stop to watch when the bridge moves up and down. What Is the Mystic River Drawbridge Schedule? 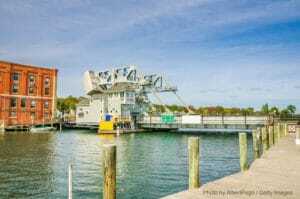 The Mystic River Bascule Bridge opens daily at hourly intervals (forty minutes past the hour) from May 1st to October 31st. The bridge only opens during the daylight hours and each opening lasts about five minutes. What Is There to Do Around the Mystic River Bascule Bridge? This is a lovely part of Mystic, CT, to visit! There’s a small park located near the Mystic River Bascule Bridge so you can park your car and walk or jog across the bridge for some exercise in a scenic environment! You can also buy an ice cream cone from Mystic Drawbridge Ice Cream and enjoy your tasty treat as you take a leisurely stroll across the bridge to admire some of Mystic’s finest sights. The Mystic River Bascule Bridge is also close to the downtown area, so you can go shopping and sightseeing after spending some time around the bridge. The Mystic River Bascule Bridge is so famous, there’s a Mystic Bridge beer named after it! You can sip a Mystic Bridge IPA from Cottrell Brewing Company in Pawcatuck, CT! Come Stay with Us at the Stonecroft Country Inn near Mystic, CT! Now that you’ve gotten a taste of the many attractions that Mystic, CT, has to offer, make plans to take a trip to this incredible destination today! While you’re here, stay with us in the Stonecroft Country Inn, a comfy bed and breakfast in Stonington, CT, that contains beautiful rooms, each fully equipped with all the amenities you need for a weekend of rest and relaxation. Spend time exploring the many things to do around Mystic or simply unwind in the warmth of our cozy environment with a book and a blanket. Our lovely haven in Connecticut is guaranteed to provide you with all the comfort and luxury you could ever need, so what are you waiting for? Check our availability online right now so you can start planning the trip of a lifetime! 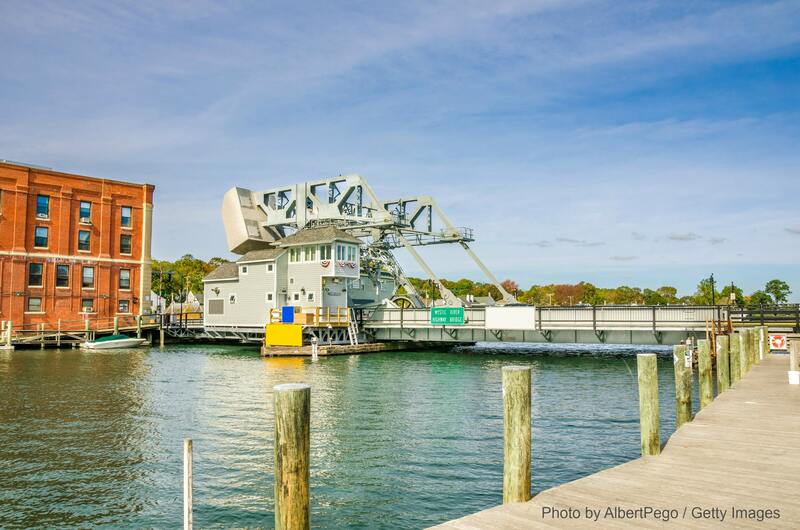 To learn more about the many fun things to do in Mystic, CT, like visiting the Mystic River Bascule Bridge, download our free Vacation Guide today!